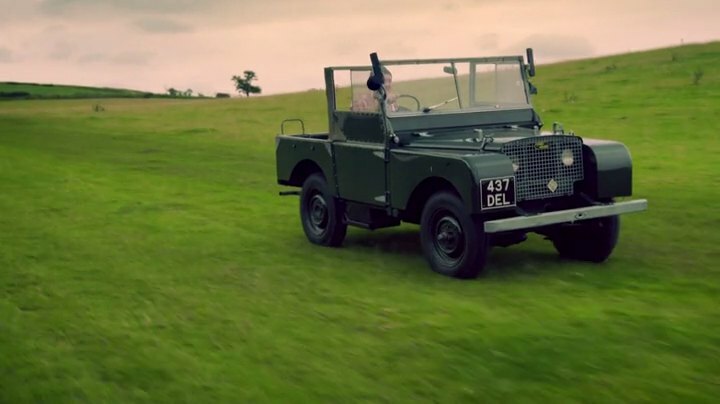 IMCDb.org: 1949 Land-Rover 80'' Series I in "James May's Cars of the People, 2014-2016"
James says it was one of the first originally supplied to the Army. It's now one of the very oldest models the company owns on its heritage fleet: a 1949 Series 1 and is kept in stunning concours condition by Land Rover - Link to "www.carmagazine.co.uk"
DEL is a Bournemouth series, initially unused, but issued in July 1976 onwards, for re-registrations of vehicles that had lost their original plates. /vehicle_919728-Land-Rover-80---Series-I-1949.html . We also have 438 DEL.